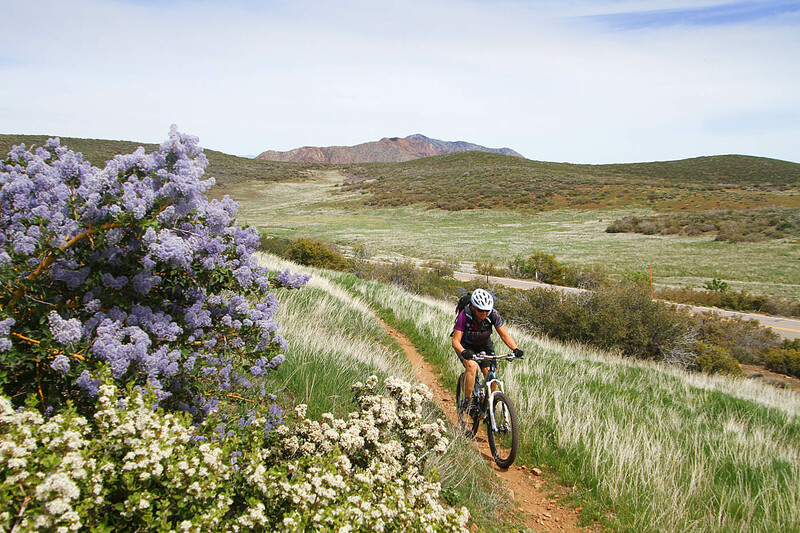 For those of you have ride out at Sycamore Canyon and have been dealing with all the hub-bub about the USMC base, the Stowe Trail is now open for those that get a permit from the USMC base. Check out the info here. 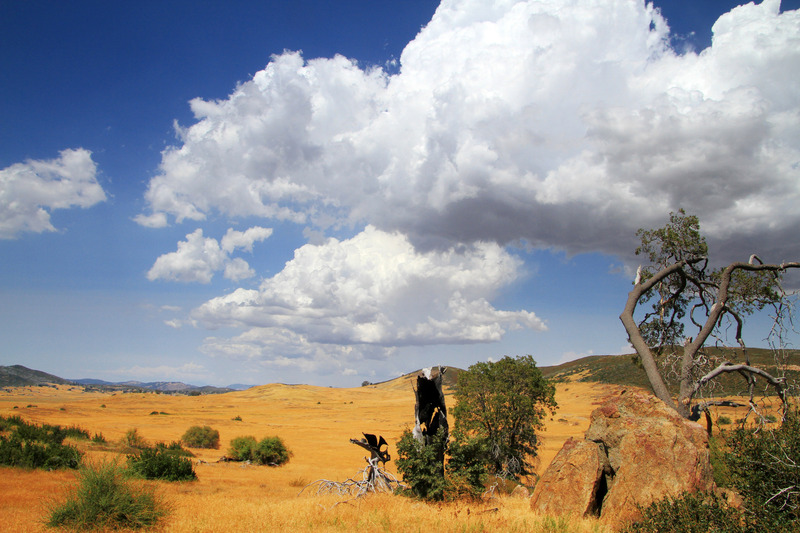 I have an ongoing project of personally surveying the California Riding and Hiking Trail throughout San Diego County. I have a page up on my site with an interactive map of San Diego’s counties’ GIS data on where the trail is/supposed to be. I have been adding my notes on the actual placement and status of the various trail sections. You have to point and click to see much of the pop-up data, comments and some pictures. Its pretty much my online notes. 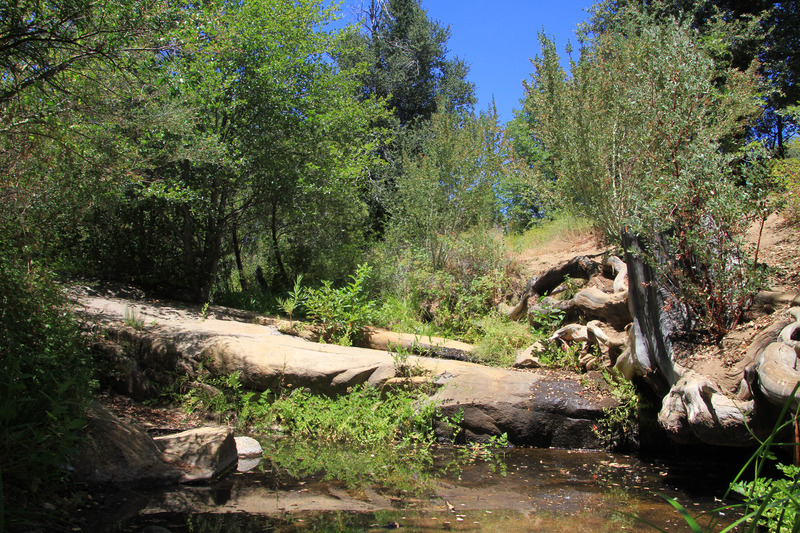 Last month after doing a ride out in the Cuyamaca Mountains I took the long way home that included some of the further out bit sections I had not looked at yet. 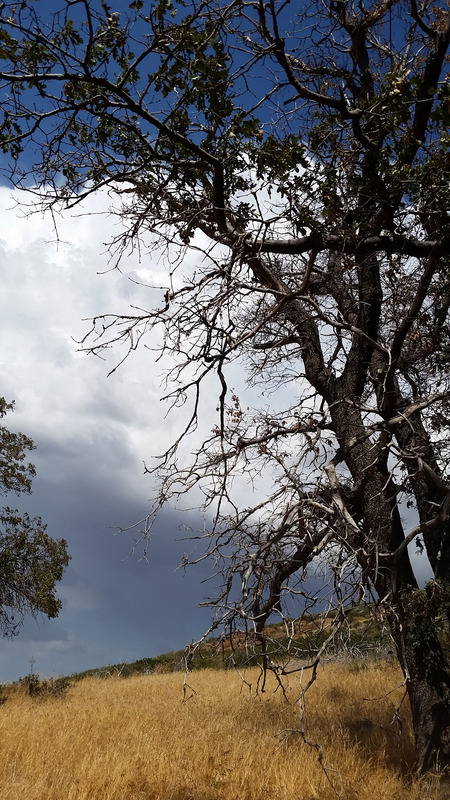 The first stop was to drive up to Julian and down Banner grade road to pick up the Chariot Canyon truck trail and then over to Rodriguez Canyon. 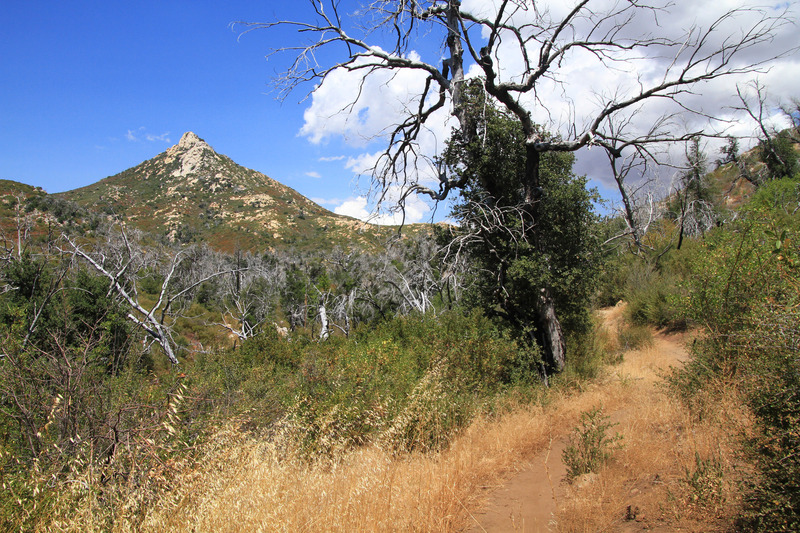 This is part of the Oriflamme Canyon loop route that I describe on my site. 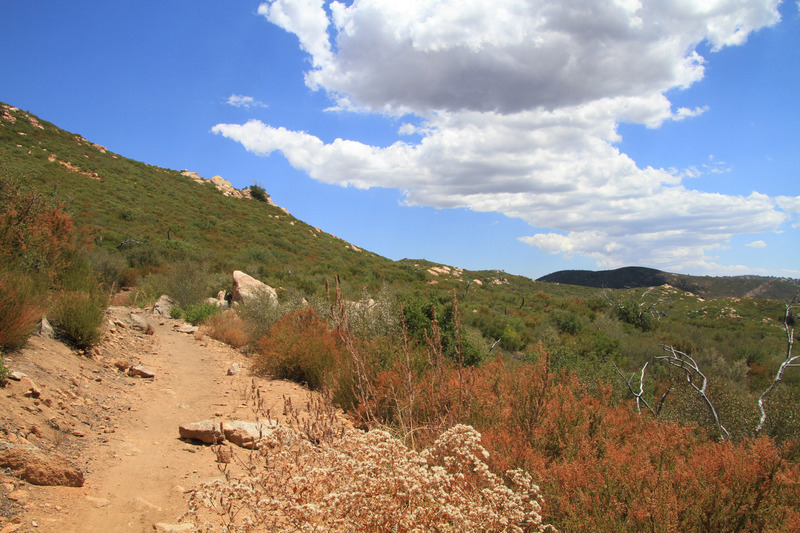 What I was looking for was the CRHT north of the Rodriguez Canyon truck trail. I found it but is was not where the county GIS data said it was. It was actually about a 1/10th of a mile west. It appears that at some point in the past the trail was rerouted to avoid going through private just to the east the current actual trail. The trail has seen little use but it well defined single track. 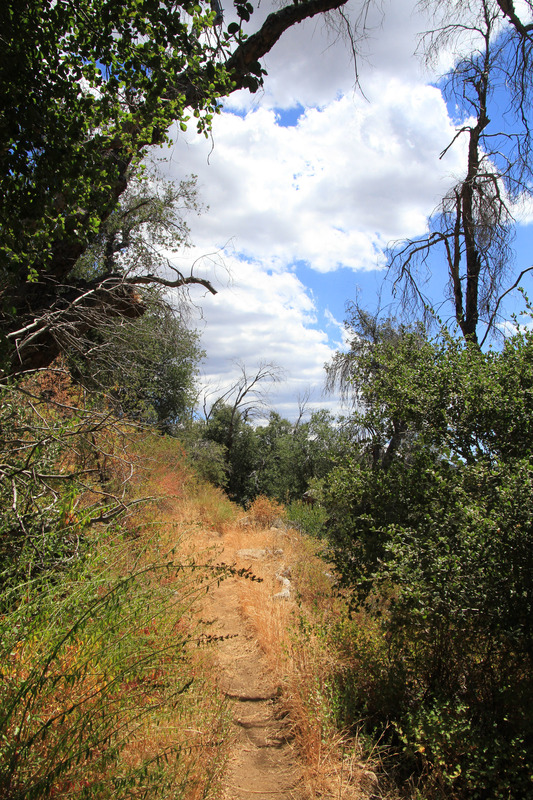 Once it rejoins the original track it looks to be an old fire road from my visual from across the ridge. The section of the CRHT just north of Rodriguez Canyon Truck Trail. 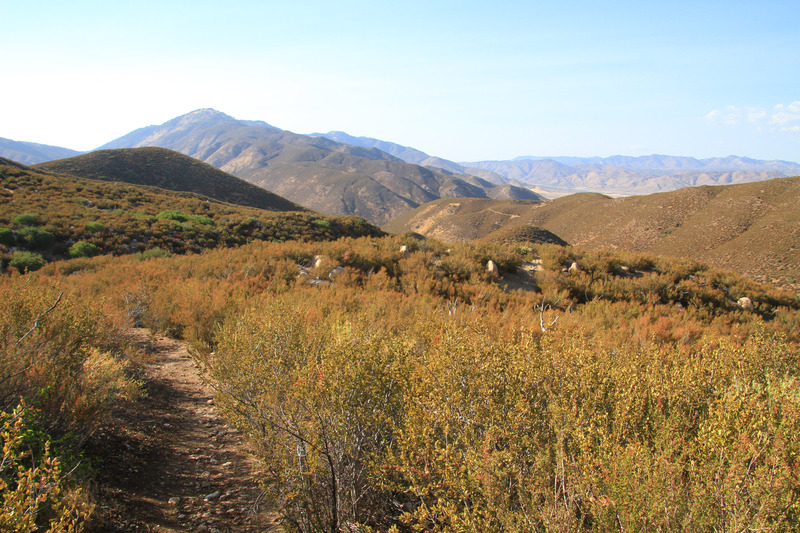 Next I made my way back to Banner and then down into San Felipe Valley to scout where the trail crosses Banner Grade Road. 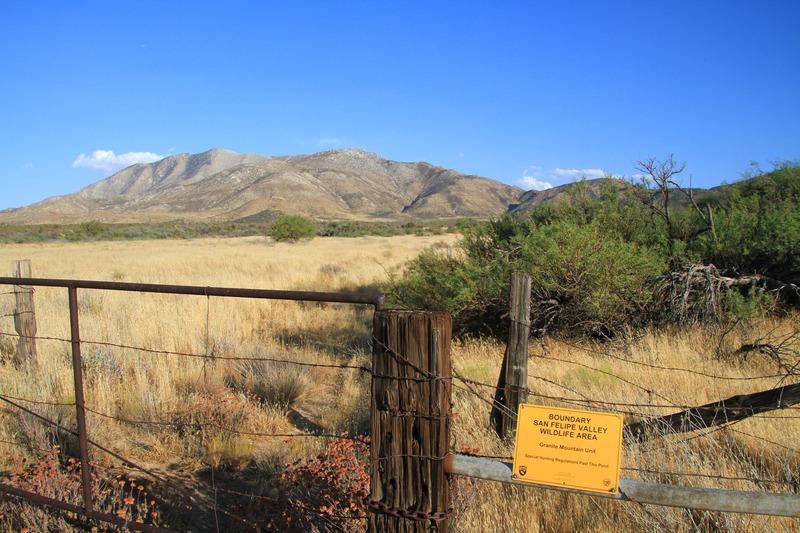 This area is part of the San Felipe Valley Wildlife Area managed by the CA Department of Fencing Fish and Wildlife. 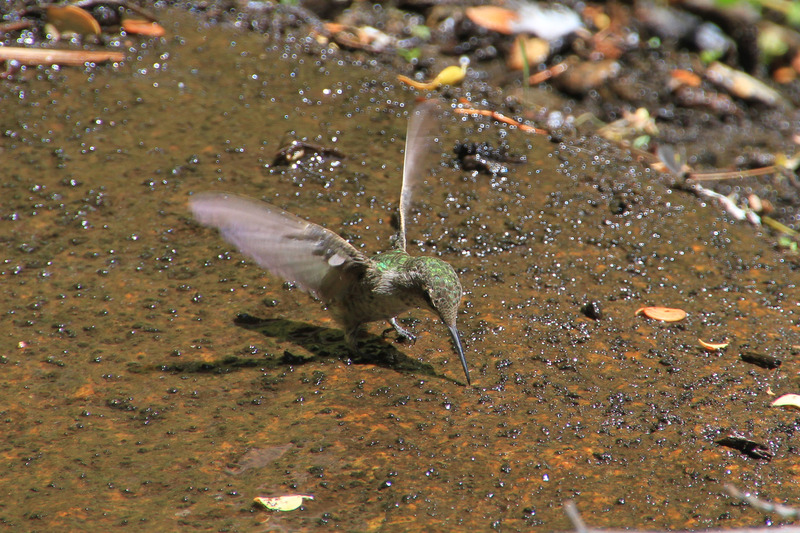 This wildlife area encompasses around 17,800 acres. 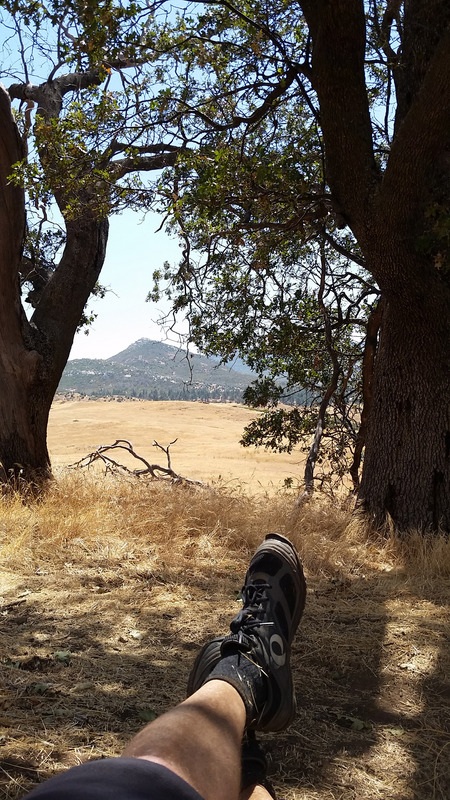 The CDFW has established that the only appropriate recreation activity out here is wildlife viewing by foot traffic only, shooting the heads of quail and killing deer. Evidently there is no room for equestrians or mountain biking to enjoy the historic CRHT that passes through this area. I then drove down to Scissor’s Crossing and went up San Felipe Road (County Road S2) to pickup the CRHT where it intersects this road. 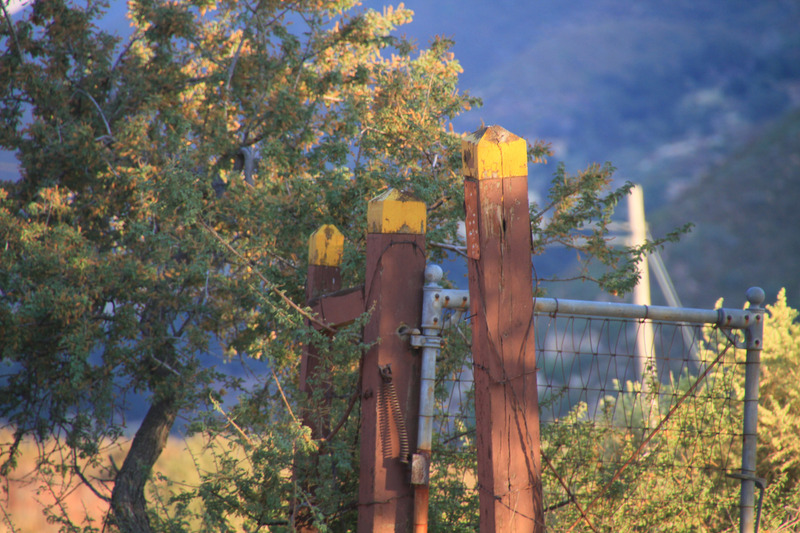 I did find a post that should be a CRHT marker based on its location but the top of the post had been cut off so there was no distinctive yellow painted “cap” on the post. 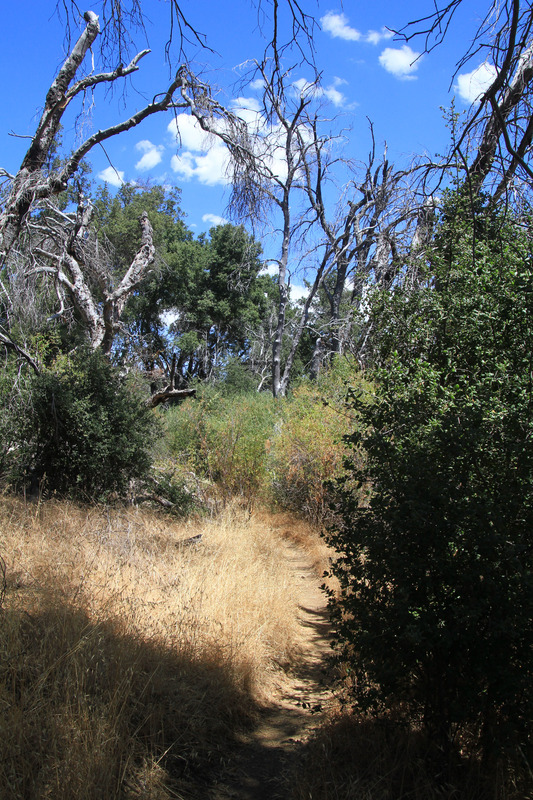 This side of the property had a CDFW Wildlife area “No Trespassing” signage. 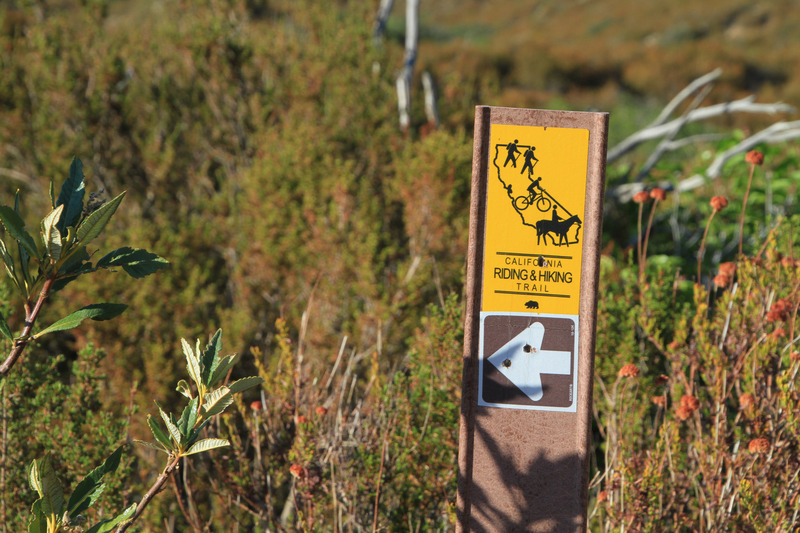 So even if you wanted to enjoy the CRHT as a hiker you would have a perplexing problem of you could enter from the south but somewhere along your northward journey you would be trespassing. 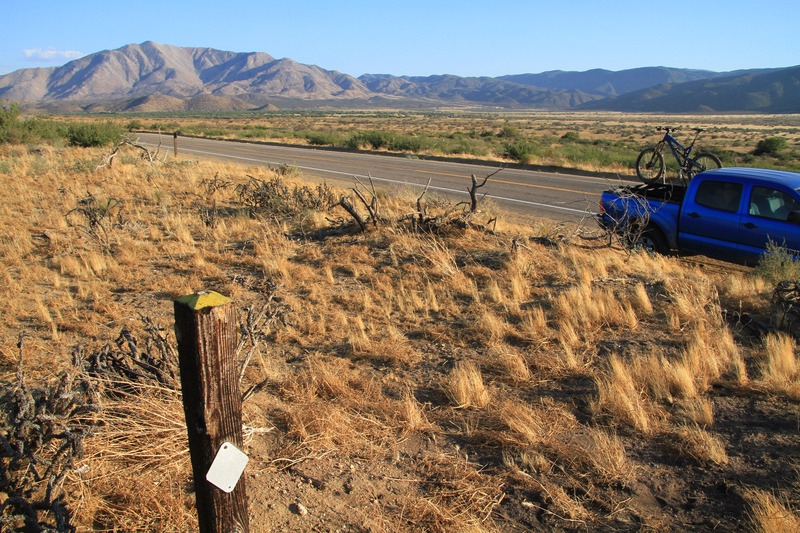 Along the north side of San Felipe Road, I quickly found CRHT marker posts paralleling the road. These posts were typically about 30-50 feet north of the road. There had been a wildfire through here some time ago and I was having a tough time picking up and following the trail. 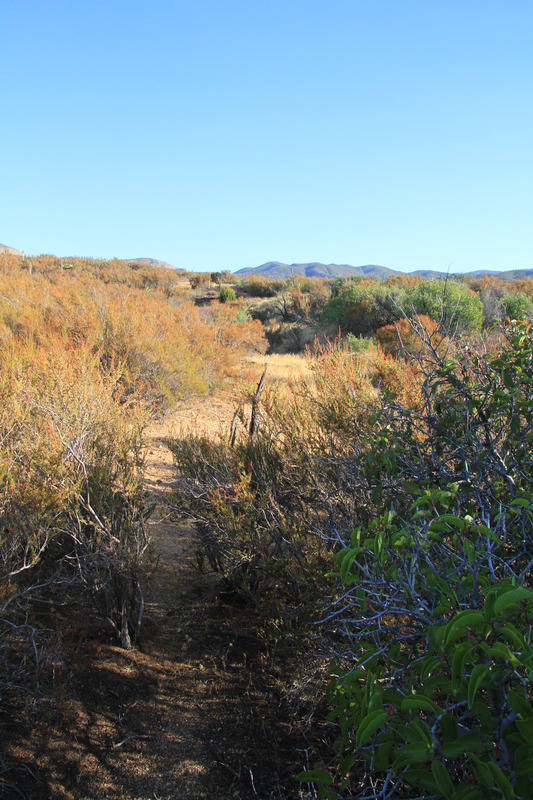 This section is also part of the San Felipe Wildlife area with the same foot traffic only or no trespassing access management scheme. 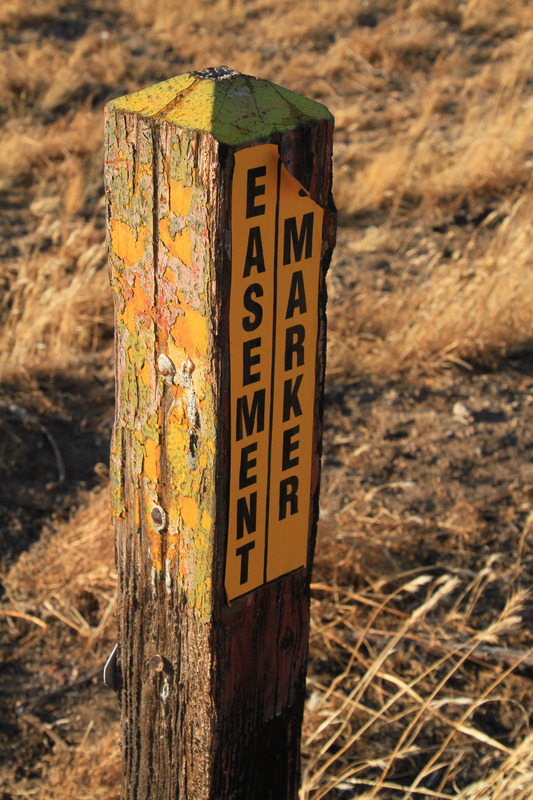 After about a couple of miles of heading northwest along the road I was unable to find any more posts. A few more mile up the road I started seeing the newer style CRHT markers right of the side of the road and those continued at quite regularly until where the CRHT turn away from San Felipe Road (This is at CRHT-161A on my map) and heads up an old dirt road. I believe this trail starts off as an easement through a bit of private property as it is well signed and easy to follow. I did not proceed much further up the trail from there. I will have to assess those bits further north at some other time. The next significant road crossing is supposed to be near the junction San Felipe Road and Montezuma Valley road (County Road S22). On a previous outing I had looked for the trail in this area but came up empty. I came up all blanks this time as well from the truck. Next time I’ll be out with the bike and explore in from the south were I know the trail exists. I have done the trail north of the road junction before out through Warner Springs so that was it for this recon outing. While I still have some miles left to look at in the county and I have not crunched the numbers yet, there is a convergence of threats for this trail developing. 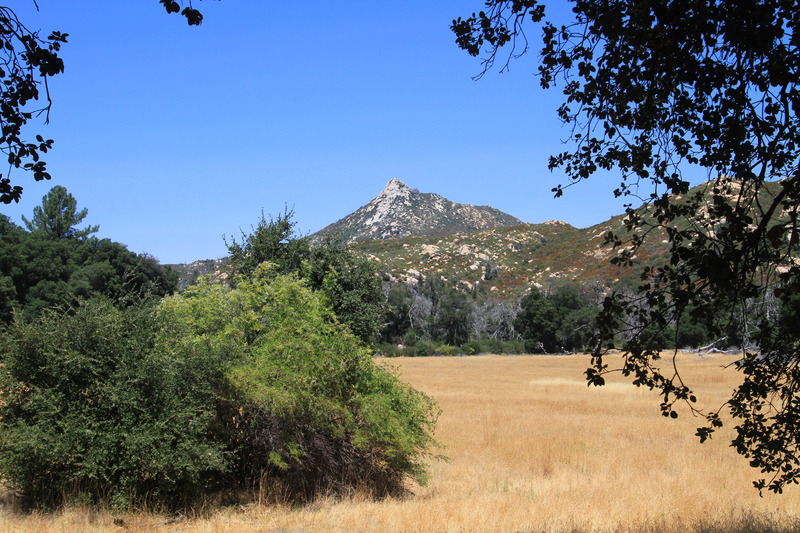 It looks like the number one threat for public access and preservation of the CRHT in San Diego County is the California State public land management agencies. Let that ruminate in your melon for a while!